One of the inescapable facts of people living longer is that their mental capacity or physical ability, or both could decline and it may well be the case that they are unable to deal with decisions regarding their financial affairs or their health. A Lasting Power of Attorney (LPA) lets you appoint one of more people to help you make decisions or do so on your behalf, were you to lose the capacity to do so. It’s not just for the elderly; young people may become incapacitated through accident or illness. If you do not have an LPA in place and later become mentally incapacitated, relatives may face delay and expense in applying to the Court of Protection for a Deputyship Order so that they can get access and control of your assets and finances. LPAs are designed to be recognised by financial institutions, care homes and local authorities, as well as tax benefits and pensions authorities. They are legal documents that are straightforward to set up and everyone should consider having one alongside their Will. There are 2 types of LPA: one that covers decisions about money matters and one that covers decisions about healthcare. A person administering a property and financial affairs LPA can make decisions on things such as buying and selling your property, dealing with your bills, running your bank account and investing your money. With a personal welfare LPA, they can generally make decisions about where you should live, how you should be treated medically, what you should eat and who you should have contact with. Your attorneys must make all decisions in your best interests and they must follow certain principles set out in the Mental Capacity Act, aimed at making sure you are encouraged to make your own decisions where possible. The East Grinstead branch of Buss Murton is a member of The East Grinstead Dementia Action Alliance. Caroline Coles joined Buss Murton in April 2018 and is a member of the Private Client Team. 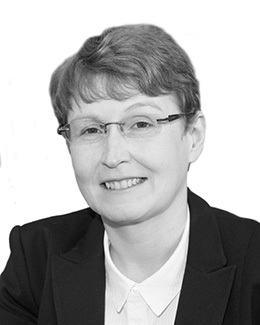 She specialises in the law of Probate and Succession – Wills, Trusts and Estate Administration and has over 30 years’ experience working for local High Street practices. Her aim is to be accessible to all clients including those with specific needs due to their age, frailty, communication or learning difficulties and taking the time to understand their requirements. Caroline qualified as a Fellow of the Chartered Institute of Legal Executives in 1984 (FCILEx) and qualified as a full member of the Society of Trust and Estate Practitioners in 2009 (STEP). She lives locally and is married with three adult children.